Dr. Jeffery Stephens is board-certified by the American Board of Ophthalmology. He specializes in retinal diseases as well as surgery of the eye. Dr Stephens provided an extremely thorough exam under emergency circumstances. He was highly professional and exhibited true concern. Great doctor,always on point ,and really cares about my husband’s well being ! Dr. Stephens is very personable. He explains the procedures so tat I understand them. Professional in every way except, getting to know the patient. Maybe he is so good that he is overbooked with patients and does not have time. 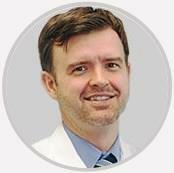 Dr Stephens is an outstanding surgeon with an excellent interpersonal manner. Dr Stephen's always so pleasant when I see him. Dr. Stephens is always easy to talk to and explains the test results fully. Dr. Stephens provides all types of retinal surgery and management of vitreoretinal disease as part of the region’s only comprehensive eye care practice. He works collaboratively with your other eye doctors. Dr. Stephens is a graduate of The Medical College of Ohio and interned at Carney Hospital/Tufts University School of Medicine in Boston. He completed his residency at the Jonas Friedenwald Eye Institute in Baltimore and received Vitreoretinal fellowship training at the National Retina Institute. He is board-certified by the American Board of Ophthalmology.